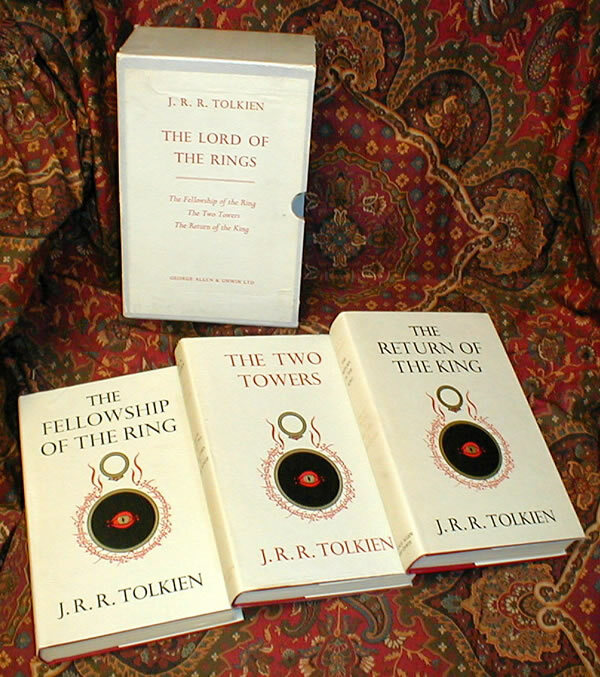 All books are in their correct and original dustjackets. 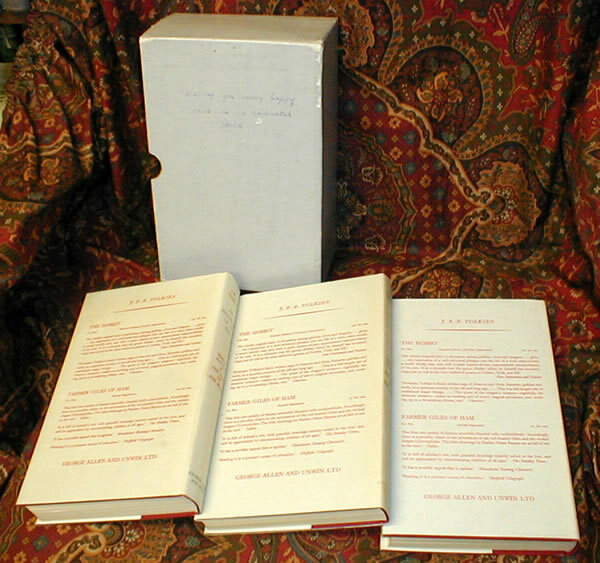 This set of books is also housed in the original publishers slipcase with the label on the side. 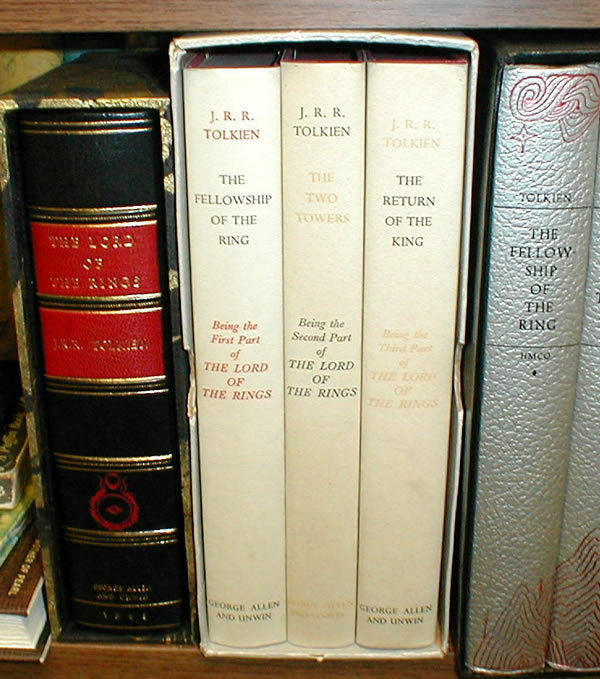 A Near Fine set of first editions of this classic of fantasy literature. 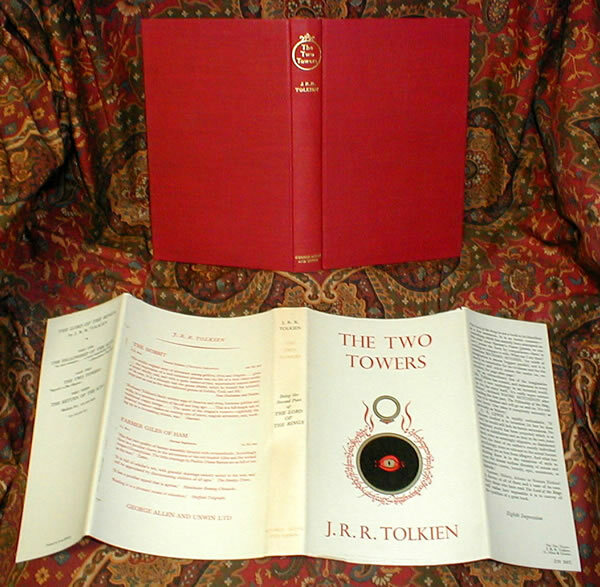 The dustjackets are not price clipped, and have only the lightest fading of the red lettering on the spine. No tanning or browning to the spines as is almost always seen. No chips or loss. Some rubbing and very light soiling to the edges. No previous owners names or inscriptions in the books. The is a neat gift inscription to the rear of the publishers slipcase. There is some light offsetting in the Two Towers, and a ghost mark on the Fellowship, probably some other newsprint laid in, and long since removed. The text block is clean and bright, edges are also clean & bright. The red topstain is clean, with no fading. The exterior cloth is clean, with the gilt untarnished and bright. 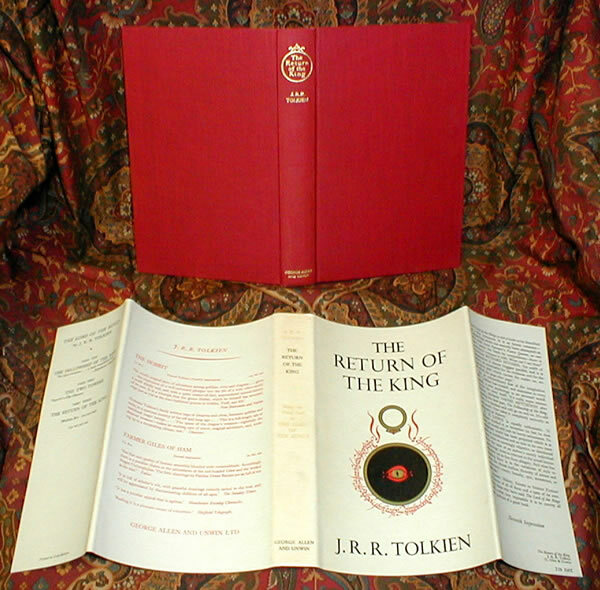 The books look remarkable, and the maps are attached, and in excellent condition. A beautiful matched set. No shelf wear to the edges, or bumped corners. 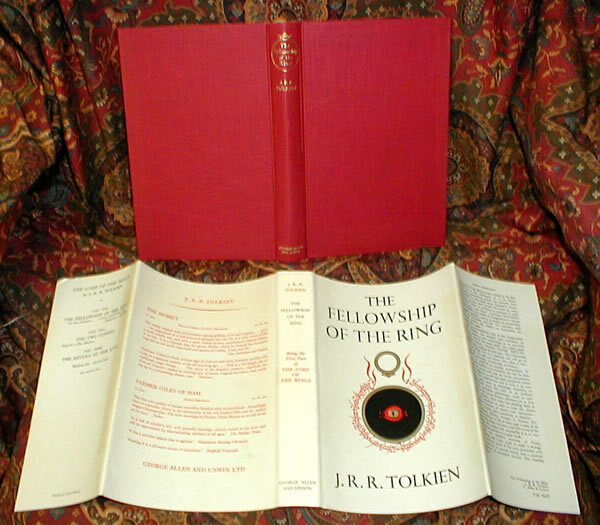 Original publishers slipcase has protected these wonderful books well over the years. 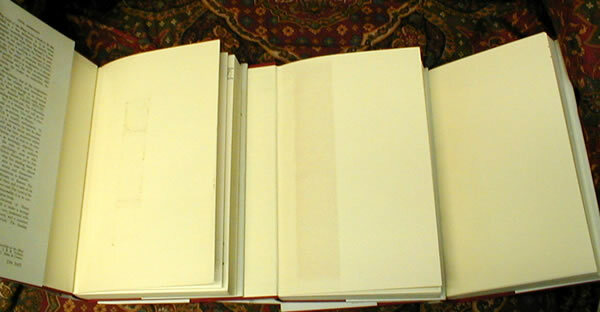 The slipcase has survived remarkably well, with only some minor bumps and edgewear. Scarce in this excellent condition.